The Gullah-Geechee are descendants of enslaved West African people who worked on coastal plantations from North Carolina to northern Florida. Many historians believe the Gullah-Geechee culture is a link to West African traditions and languages. "I am here to represent Sapelo Island, a little hammock on the Georgia Coast. It's a dying form of life we have here. In some ways I relish the new way while at the same time I feel such a heavy loss for the vanishing of the old ways." Sapelo Island, Georgia, is in McIntosh County, and it is the site of the historic Hog Hammock Community. Some historians believe Hog Hammock is one of the last intact island-based Gullah-Geechee communites in America. The island is accessible only by state-run ferry or private boat, and when you arrive on its shores, it's as if you've stepped back in time. 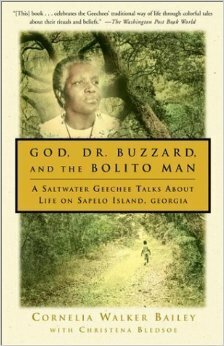 Cornelia Walker Bailey (1945-2017) was a native Sapelonian and the author of the book, God, Dr. Buzzard and the Bolito Man. 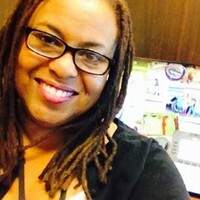 Her book includes some of the island folklore and traditions that survived the Middle Passage and the atrocities of slavey in America. Mrs. Bailey had the opportunity to visit Sierra Leone in West Africa, with other Gullah-Geechee delegates, where they got to see and hear the many connections they share. The story of their journey is told in the documentary Family Across the Sea (see Films in this Research Guide). The Gullah-Geechee are the descendants of African people who were brought to this country to do slave labor on coastal plantations stretching from Wilmington, North Carolina, to Jacksonville, Florida. In the Carolinas, these people are known as Gullahs; in Georgia and Florida, they are called Geechees. Gullah-Geechee people have retained many African customs, including religious beliefs and traditions, music, foodways, and remnants of native African languages. 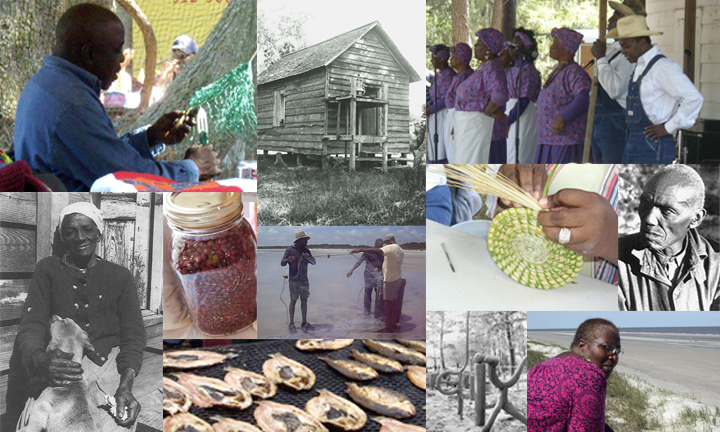 The Gullah-Geechee Cultural Heritage Corridor was established by the U.S. Congress in 2006. It includes 79 barrier islands, and communities as far as 30 miles inland on the mainland. The Corridor is managed by the National Park Service. In Georgia, the Gullah-Geechee culture spans from the Savannah area down to St. Marys and surrounding communities. It includes difficult-to-access islands such as Sapelo and Cumberland, and many popular tourist and resort areas such as St. Simons and Jekyll islands. ​Photograph Credits: Black-and-white photographs are by Muriel and Malcolm Bell. Color images are by Michele Nicole Johnson.